I’ve seen a lot of people asking how to start a business in Australia lately. It’s actually not that hard, depending on the kind of business you want to start. I started my own business in 2016 as a digital marketing freelancer in Perth, and I’m proud to say it’s growing from strength to strength. 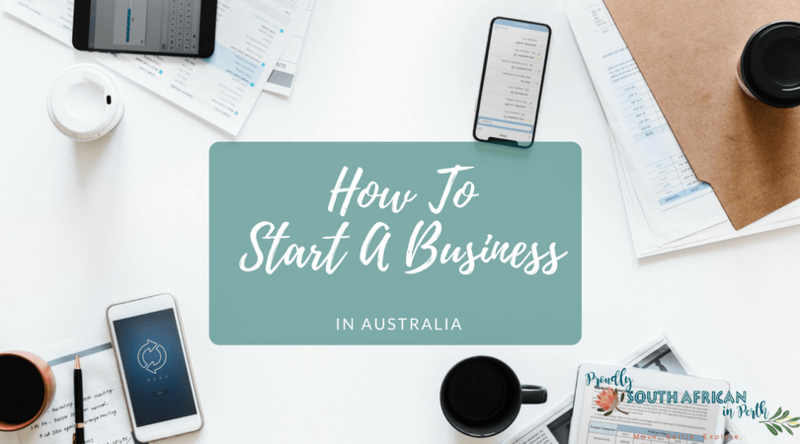 So I thought it might be useful to write this post for those of you who are wondering about how to start a business in Australia but have no idea where to even begin. If you’re thinking about starting a business in Australia, you probably have an idea of what you want to do. It needs to be something you have the right skills for, enough knowledge and preferably some experience too. Rushing into a business that you have never done before can be risky as you have to learn everything from scratch. Choosing a business niche that you understand and can bring value to is your best option. Look into what you need in order to get started. If you need equipment, premises or other assets, or you’re going to need to hire and train staff, how much are all those things going to cost you? How much have you got already, and if there is a shortfall, can you realistically raise the funds you need in order to get the business off the ground? With my online marketing business, all I needed to get started was a laptop, internet, and a website. Over time I’ve invested in some software, professional development, and SEO tools, plus spent a bit on networking and getting out and about making new connections. Australia is ALL about who you know. Next up, you NEED an accountant. Not just any accountant, an awesome accountant. This will save you time and stress. The tax system is straightforward once you know what you are doing, but having a trusted accountant explain everything to you and get the right business structures in place is imperative for success. I use Gillian Nathan from Simple Solutions Accounting. She has been invaluable to my business and I don’t think I could run it as well without her! 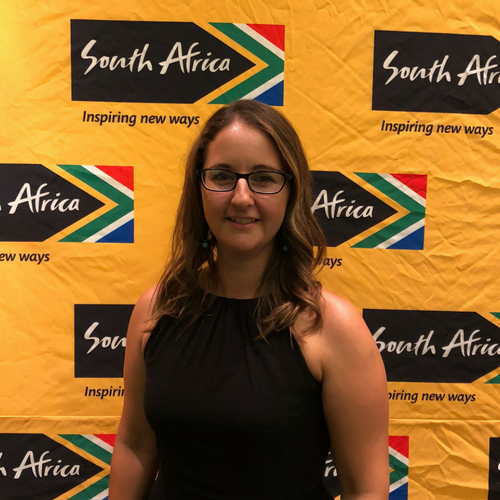 She is originally from South Africa but now lives in Perth and she can deal with your tax affairs in Australia and South Africa. Now you need to decide on what structure the business should take. A sole trader is when you are registered as the sole owner of the business. You’ll be responsible for all legal aspects of running the business, but you can also choose to employ people to work for you. It’s the simplest business structure to set up and inexpensive too. This is a commercial business or entity that has a separate legal existence to its shareholders. Definitely speak to an accountant before choosing this option so you can make sure you set everything up correctly from the start. A partnership is when two or more people (up to 20) run a business together, but it doesn’t take the form of a company. You get two types of partnerships – general and limited. Each state in Australia has its own law regarding partnerships. Read more about these here. Trusts can be used for business or investment purposes. A trust is an obligation imposed on someone (or an entity) to hold property or assets for the benefit of others (the beneficiaries). This is a complex way to manage a business and should not be considered unless you are experienced and have a very good accountant who can help you. You can read more about trusts on the ATO website here. It’s time for some fun now! You need to come up with a name for your business. It could be your own name if you like, or you can think of something catchy or memorable, or related to the products or services you’ll be offering. Check that your business name is available to purchase as a domain for your website and that it’s also available on social media platforms like Facebook and Instagram. You don’t want to be competing with 50 other businesses with the same name as this will dilute the effectiveness of your brand both online and offline. Also, don’t pick a name with unusual spelling – you don’t want to be having to spell your business name to everyone forever and people will struggle to find you online if they don’t know how to spell it! Right, so you’ve got your business idea, sorted your funding plans, got an accountant, a business structure and a cool name. Now it’s time to get your ABN. Anyone who is self-employed needs to hold an ABN in order to run their business. An ABN is an Australian Business Number and is a unique identifier for your business from the Australian Business Register (ABR) , operated by the Australian Tax Office (ATO). So many acronyms! You need to have a tax file number (TFN) first, so if you’re new to Australia make sure you get this sorted ASAP. Now you need to register your business name. This is done through ASIC – the Australian Securities and Investments Commission. If you’ve already got your ABN in the last step, you can register your business name with ASIC directly here. If you don’t have your ABN yet, you can register both your ABN and your business together on the government’s business registration website here. Whatever you do, PLEASE DON’T pay anyone to do this for you – there are services out there charging $100+ to get you an ABN or register your business name – it’s a complete rip off! A big question you now need to ask yourself is if you’re likely to earn over $75,000 in the next 12 months. If so, it’s a good idea to register for GST from the get go. If you won’t, then you need to keep an eye on the total income from the business over a 12 month rolling period. As soon as it looks like you’re going to hit that magic number, get your accountant to register you for GST. This means you will have to charge GST (currently 10%) on all your sales within Australia, collect it and pay it to the government on a quarterly basis. This may sound bad for you, as your prices will go up by 10%, but it can be a positive for a couple of reasons. Firstly, it means that whatever you buy for the business that includes GST, you can claim back from the government. So say you collect $2000 worth of GST on your sales, but you then calculate you’ve purchased goods and services for your business that include $1000 worth of GST. That means you only need to pay the government $1000 GST. Secondly, it can make your business appear to be more professional if you’re charging GST (even if you haven’t reached the $75k earnings threshold yet). People often (rightly) assume that you must be a small business if you aren’t charging GST, so it can give them assurance you know what you are doing – silly but often true. Read more about how GST works in Australia here. Where do you go to find new businesses? Is it the Yellow Pages or the local newspaper? I bet it’s Google, or maybe even Facebook. In this day and age, every business needs a website. Hopefully, you followed my earlier advice and picked a unique and available name for your business. Head online to buy your domain – who you use to buy the domain doesn’t really matter. 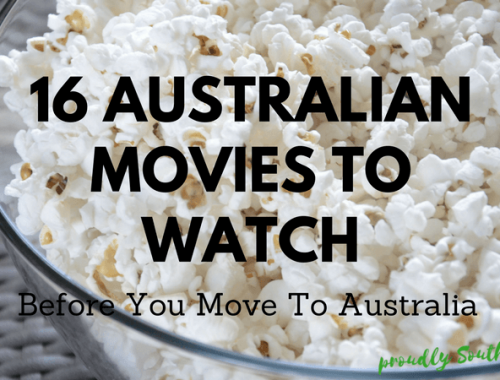 If you want to reach an Australian audience, make sure you buy a .com.au domain. If you have plans to expand internationally later on, buy the .com version now too (or whatever the TLD is for the country you want to launch in). Go Daddy, Crazy Domains, Net Registry and Domain Registration all offer domains for sale and unless it is a very competitive or desirable URL, it shouldn’t cost much at all – around $10-50 per year per domain. Time for some fun – you need to build your website! Now as this is an industry I work in, I know there are a lot of sharks out there. If you just need a basic 5-10 page website, with no bells and whistles or e-commerce integration, a template website could cost you $1500-2500. If you want a custom designed, all singing all dancing website, be prepared to pay $10k+. But honestly, unless you are doing something very unique, or have massive e-commerce integration requirements, a basic website should be enough to get you up and running. Once your website is being built, you can start setting up your social media accounts – well you can do this as soon as you have a business name really. I recommend Facebook for most businesses, LinkedIn and then depending on the niche you may want to set up Instagram and Twitter as well. If your business is not purely online, you’ll need to find premises for it. Whether it’s a warehouse, retail store or office space, search online on websites like Commercial Real Estate and Real Commercial for your ideal premises to rent or buy. There are also a lot of c0-working spaces these days, as well as service offices. This can work out cheaper and simpler than renting or buying premises so look into this option too. If you can’t run your business single-handedly, you might want to consider hiring staff. Think about what you can and can’t do and outsource or hire and delegate certain aspects of the day to day running of the business to someone else. Make sure you are paying them correctly – again a tax accountant will be able to guide you on this. FairWork is another great source of information regarding having employees. Once you’re ready to get going, it’s time to start marketing your business. There are literally thousands of ways to market your business these days, both online and offline. Consider how your target market would find you and choose where to invest your marketing budget very carefully. If you want your website to get found online, you can talk to me over at my digital marketing business, Cutting Edge Digital. Building a website does not guarantee people will find it, SEO and online marketing does. Some of the digital marketing services I offer include search engine optimisation (SEO), Google Ads and blogging for your business. If any of these sounds like something you’re going to need, I’d love to hear from you. You can check out my website to find out more about me, my experience and how I can help you get found online. And there you have it – how to start a business in Australia in 14 clear steps! 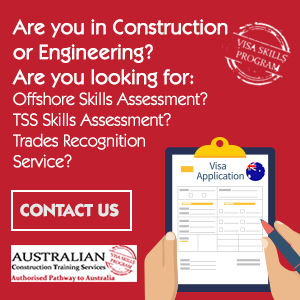 Have you started a business in Australia? Did you find the process straightforward? I’d love to hear about your business experiences in the comments below.